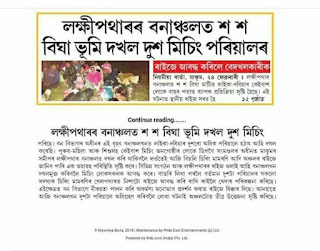 JONAI,JAN 18:IN a new twist to the continuing mystery of Jonai Lígang bombing,Mrinal Hazarika ,a leader of pro-talk faction of the United Liberation Front Of Asom(ULFA),currently under ceasefire with the government,said here, yesterday that it was not feasible to comment on the serious issue at this hour though he didn't denied involvement of the outfit.However,he was seen attempting to divert the important query by the journalists.This sensational statement was revealed in an interactions with media persons by the outfit's pro-talk leader in Jonai Circuit House while he came to the border town to attend a public meeting held at Silapathar in Dhemaji district of Assam. It may be noted here that the infamous and barbaric Jonai cultural bombing took place in the midnight of March 15,2008 that left four persons dead and 104 persons injured while thousands of Misings were gathering in an Ali-A:ye-Lígang cultural function at Jonai Dírbí Okum complex.The blast that happened under a mysterious circumstances evoked tremendous outpoured of protests and uproar among the Misings and other Tani fraternity but unfotunately neither a conclusion was arrived at nor a single perpetrator was nabbed by any quarters.The state government of Assam as well as the centre didn't felt a sense of responsibilty by commissioning even an inquiry to unravelled the mystery of first ever such kind of cultural onslaught on a particular ethnic minority in the history of the country. 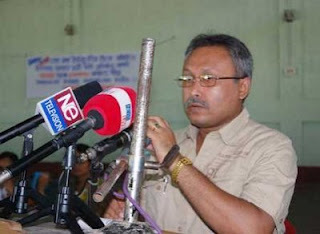 Mrinal Hazarika,Ulfa's 28th Bn leader,whose A and C companies are under ceasefire since last year,underlined the need of greater autonomy for the state of Assam though there are reasonable historical backgrounds for the support of a sovereign independent Assam but it is not possible to have it at this moment of difficult times while unabated immigration from Bangladesh,Nepal and other parts of the country as well as the separatist ideology of different indigenous tribes of Assam put a question mark on the very identity of the Assamese people and state of Assam within 30 years from now.He also added the Ulfa has failed to unite the indigenous tribal groups of Assam.He also expressed his concern on outsider's control of state politics of Assam referring referring to the 2001 census data that there are 22 percent of Assamese people and 49.7 per cent of Assamese language speakers in Assam . InSeo Services is an Indian SEO (Search Engine Optimization) company which has been providing Link Building, Social Book Marking, Article Submission and Directory Submission Services. We provide ethical and cost effective services. Our proven methods of Search Engine Optimization services will surely bring traffic and boost ranks in Search Engines.